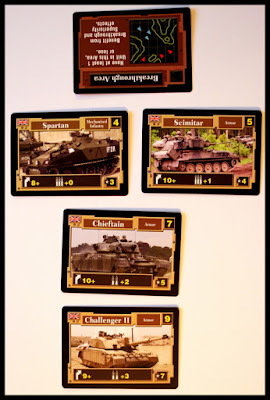 Modern Land Battles is a military card game that is normally outside my wheelhouse but is firmly within my partner's interests, so we learned and played the game together and I asked him to join me in sharing his opinions of the game. 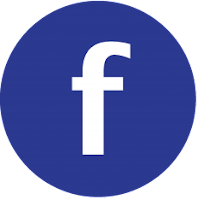 The theme is very well done for anyone interested in modern military forces and actions. 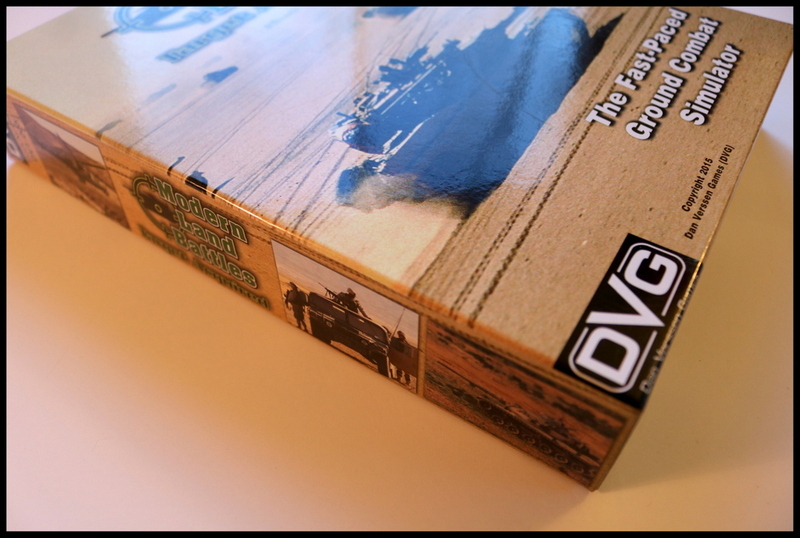 Real-life photographs are used on the cards and stats from those vehicles and weapons are used to give the game a realistic edge. There are plenty of player interactions as forces are moved on the table, into and out of range, and engage in both offensive and defensive actions. Modern Land Battles is a card-based game that includes decks for seven different forces as well as a general action deck and a terrain deck. 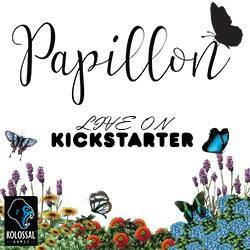 The game also includes cardboard tokens to indicate damage, advantages, and actions, as well as four ten-sided dice. 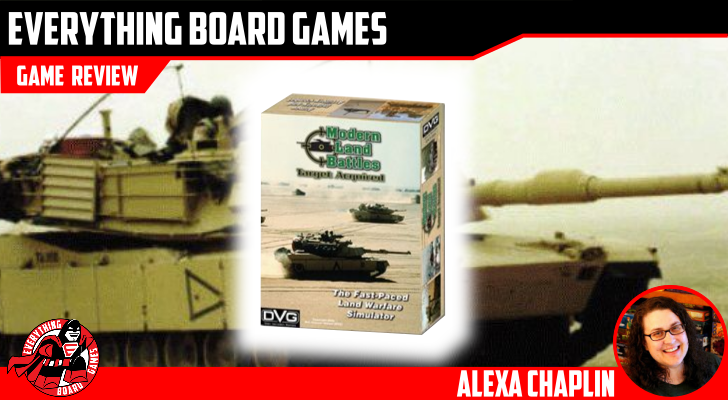 The photographs used on the glossy cards are very nice; they include a wide variety of modern military vehicles and add to the modern theme of the game. Set up is relatively quick; each player chooses a faction deck and selects from their deck 25 points worth of vehicles. 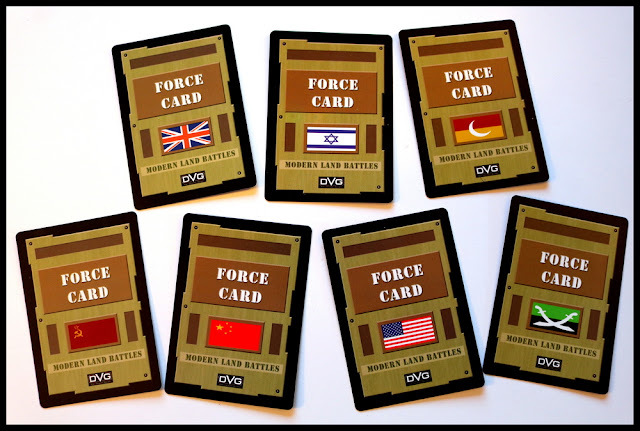 Military enthusiasts will find the most well-known equipment from each represented force, and being familiar with the real-life vehicles will make selecting your starting cards that much easier, but there are enough stats on each card that even a military novice (like me!) can choose a solid starting lineup. 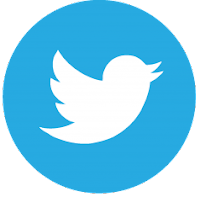 Each force is well-balanced and has a variety of cards of different strengths and abilities. Each player arranges their cards on their side of the table in up to three rows. Each row represents a different distance or range from the enemy, and will factor into which units can attack and which can be attacked. Three battlefield cards are arrayed in the center of the table between the two forces. 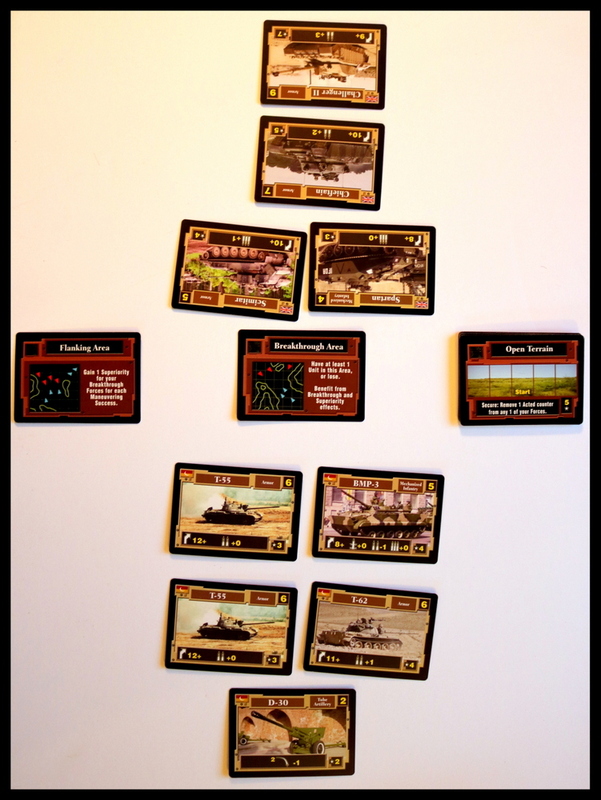 These represent different areas where battles may take place: the Flanking card (where forces can gain an advantage), the Breakthrough card (where most combat will occur), and the deck of Terrain cards (where players engage in a back-and-forth battle hoping to earn the top Terrain card and the points associated with it). 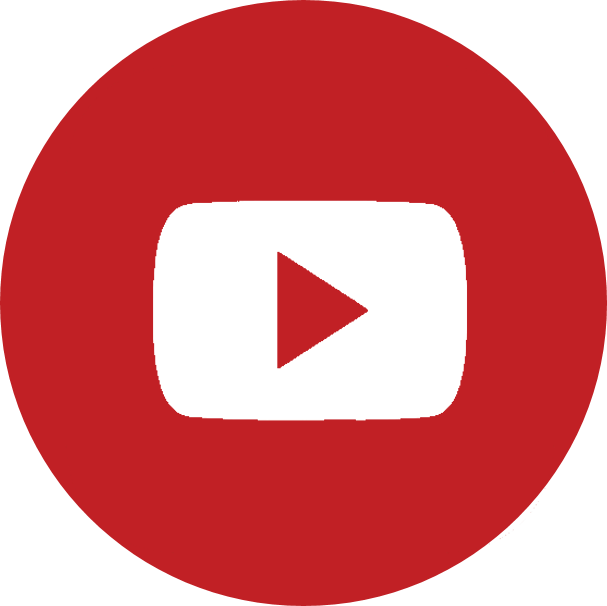 The goal of Modern Land Battles is to earn 25 points by engaging in card-and-dice-based combat against your opponent's forces and defeating enough of their cards to accumulate that total. 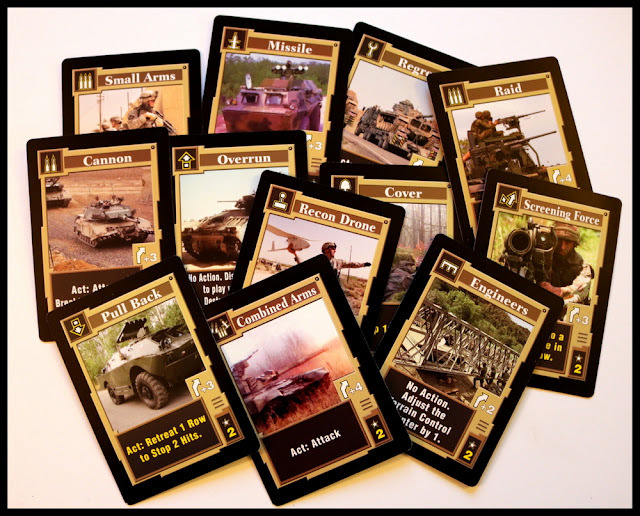 Players take turns choosing an action: Prepare (reset your forces to make them able to attack again), Reinforce, Maneuver Attack (with your main forces), Artillery Attack (with your artillery units), or Play a Card. 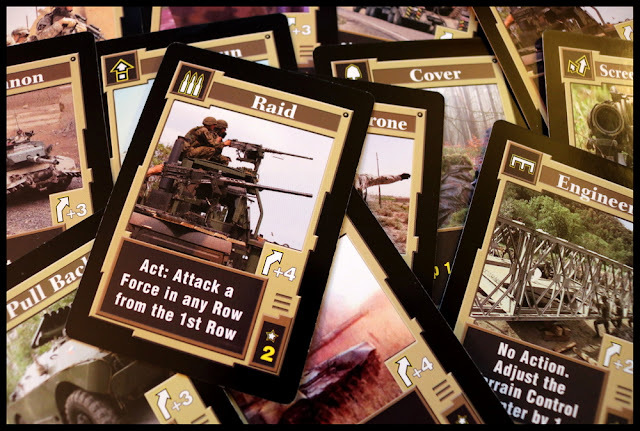 Action cards allow you to do things such as make defensive maneuvers to protect vulnerable units, gain advantages when attacking, move the terrain counter, and use certain weapons to attack. Units can move between the three battle areas in the center of the table and also between the three rows on your side of the table, giving you the ability to be strategic in your placement and movement to have your forces aligned for the most powerful attacks. As the game progresses, points are earned by defeating enemy units. Players declare attacks against a specific enemy card with the goal of inflicting enough damage on that unit to destroy it. Dice are used to see if you hit your opponent, and how much damage is done is based on the number of hits that you inflict. 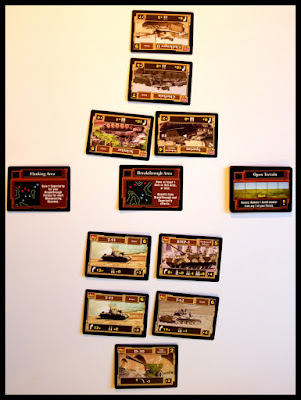 The card for a destroyed unit is taken by the attacking player, who adds those points to their total, working their way up to the 25 points needed for victory. 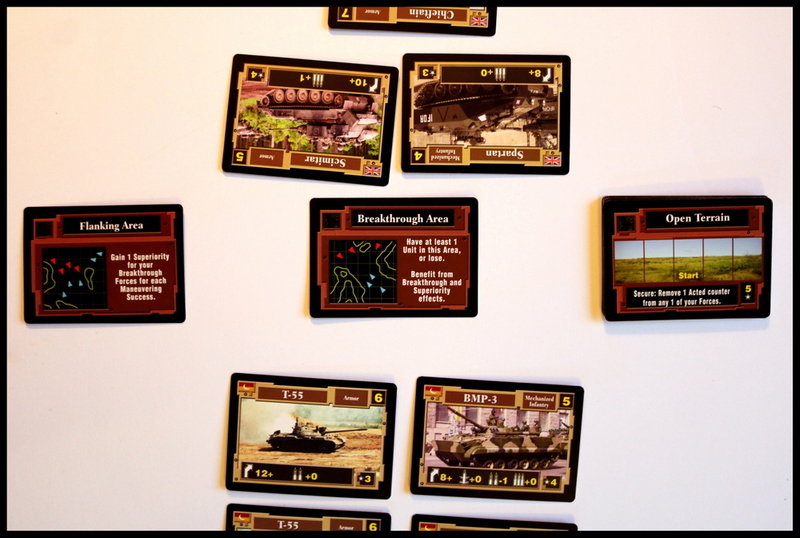 Modern Land Battles fits a good niche of being a detailed, strategic war game that is also relatively quick (our two-player games never went much over an hour). The cards for each force are very well-made and offer good talking points about military history. The rulebook is well laid out and includes an almanac detailing each type of action cards, which is a really nice feature. Fans of heady military strategy will enjoy the game play and have an advantage due to their strategic backgrounds, but a player who is less used to strategy games of this type will still have a fighting chance as the luck of card draws and dice rolls plays enough of a factor to help keep things from becoming too unbalanced. Having never played Modern Naval Battles, it took us a while to get into the overall flow of the game. By late into their first game, my son and partner had the hang of things, and felt they got better with each play. They were able to help guide me through the games that I played. Gamers who aren't into military battles and don't have friends or family who are may find it hard to get into the theme of this game. 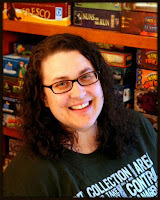 Both my partner and son said that they would also enjoy seeing the same game system used for historic military ages and for fantasy, sci-fi, or other fictional themes. 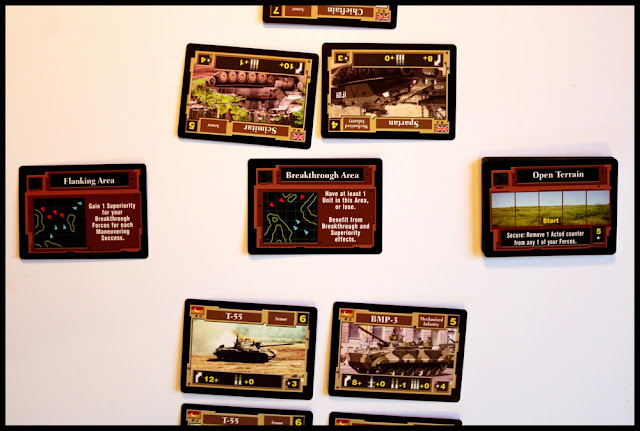 Players who enjoy head-to-head battles in games like Memoir '44, The Hunt for Red October, Star Wars Epic Duels, and other medium-weight war games will enjoy Modern Land Battles. 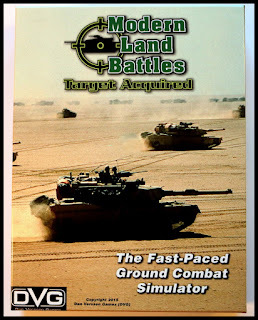 Modern Land Battles is a good medium-weight war game for fans of modern military forces. 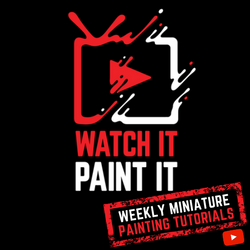 This is our family's first game from DVG and if it is representative of the rest of their expensive and varied line, we are eager to play more of their offerings.